What a busy meeting we had on Tuesday night. A vast majority of club members were in attendance, with travellers continuing to return. I wonder how long for though, with the cool temperatures still on the BOM app for the foreseeable future! 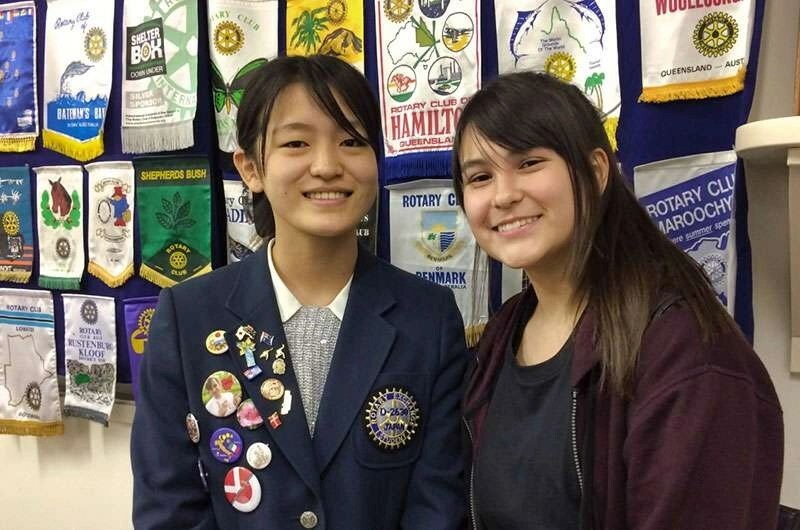 We welcomed our Japanese exchange student, Monami. Unfortunately, her current host Mum, Anna and sister Meika were unable to stay for the meeting, but we were joined by her future host sister, Caitlin Carroll, who went to Monami’s district on exchange from D9710 in 2017. We sang ‘Happy Birthday’ reasonably ok, and enjoyed a lovely birthday cake to celebrate her 18th birthday last Sunday. Interestingly, it was also Jessica Yen’s 25th birthday on the same day. Jessica was our student from Brazil in 2011. Monami spoke very well and told us a little bit about herself, and what she had been up to since arriving in Canberra a couple of weeks ago. 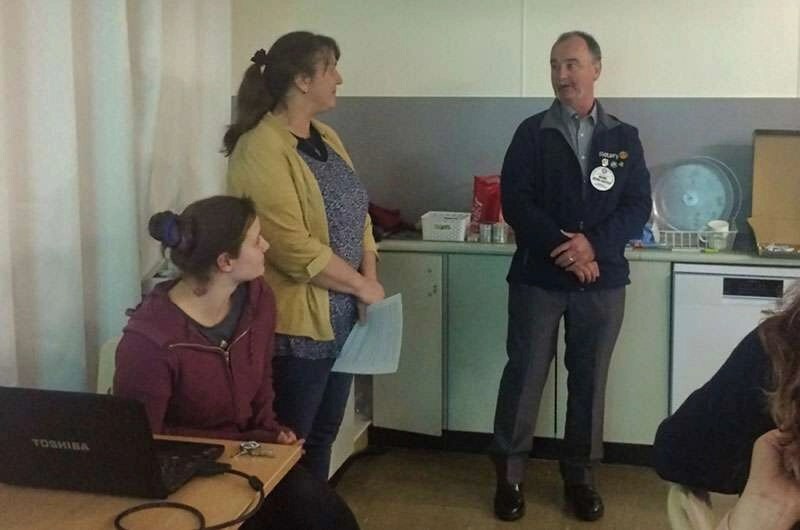 Guest speaker, Penny Vos from Rotary Club of Cooma was joined by her daughter, and RC Cooma IPP Mark John-Natley, and introduced us to her RAWCS project supporting education in Goma, Democratic Republic of Congo. Club member Vicki filled us in on what Rotary District 9710s Floriade committee have been working so hard on over the last few months. As a result of the committee’s efforts, Rotary will be the charity partner for the month-long event which sees over 400,000 attendees. Great exposure for Rotary. It has been a mammoth effort – congratulations Vicki on a really professional program and presentation! We are all looking forward to seeing it come together in… just over 6 weeks! I am sure you will be ready for a well-deserved holiday after the 14th October!! Finally, Phil filled us in on a possible project that was raised at the Community Service committee meeting last week and has since hit closer to home as well as all over the media, and that is the severity of the drought happening all over the eastern States of Australia. There was an emotional discussion and it was agreed that the club would make drought relief another major focus for the club. Community Director Phil will provide a report and preliminary plan for the board to consider at our next Board meeting on Thursday 09 August. We will look at where the funds will come from and the size and scope of an ongoing project and will then have something more substantial to present to the club for further discussion. This will become a major/long-term project as far as management is concerned. The Community committee will be very actively involved in the planning and ongoing implementation. There are many drought-relief projects underway from service organisations such as Rotary and Lions at club, District and national levels, as well as emergency funding being available from both State and Federal governments. It is important that we do our due diligence well, and get our project right. Once we have some answers, and a planned project, we will certainly keep the club informed and involved in the discussions and decisions about the way ahead. Next week we will be meeting at Gold Creek Station. Bill P has sent out his attendance request email, so please let him know asap so he can advise the venue accordingly. DG Margaret Hassell will be having her club visit with us on the 14th. I’m not sure if she wants to meet the board earlier, but will let you know.